Have the seeds you have sown in the Springtime nurtured and grown? We hope that your publicity efforts have produced candidates for your degrees. 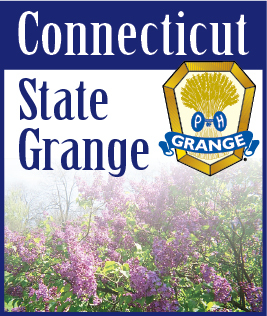 We must continue using publicity to cultivate the minds of our friends and neighbors in the hope of increasing our Grange membership. During the months of May and June, many of the Granges will be presenting Community Service awards. Now is the time to publicize these events. We recommend that these meetings be open to the general public. Have your local newspapers print an article about the recipient. Send out special invitations to the friends and colleagues of the recipient. We hope that in so doing, your Grange will be recognized by those present as a civic-minded, community service organization.